Hematite is a versatile stone that can be used for healing, grounding, divination, meditation, stabilization, and protection. The color of Hematite is metallic gray, at first sight, very similar to the color of steel. This is an opaque stone with high metallic luster when polished. Notable occurrences are in the USA, Brazil, Canada, Australia, Russia, Sweden, Norway, Germany, Switzerland, and Italy. Hematite, in contrast to many other popular crystals and stones, is a rather strange, heavy stone. Its very name is surrounded by mystery. The ancient people used to call it blood stone, which, looking at a piece of polished Hematite, looks rather peculiar. However, when this stone is shaped and polished, for example, by using a whetstone wheel, it bleeds and produces stains that resemble blood. Birthstone: Suitable for Aries and Aquarius. Hematite is a modern birthstone for Aquarius. Ancient birthstone for Aquarius are Garnet and Amethyst, as well as traditional birthstones. 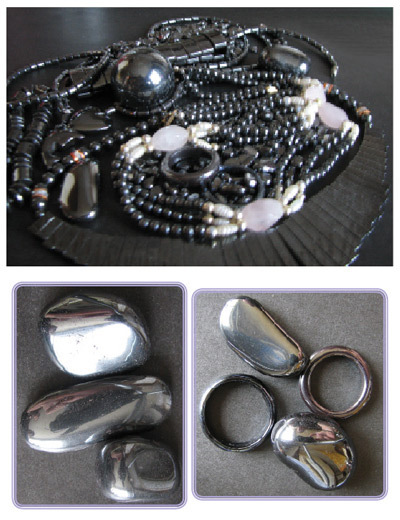 In fact, Hematite can suit every Zodiac sign. Every person can wear this stone from time to time, but some may experience problems when they leave them on their body for too long. No wonder, it is feri-magnetic (weak magnetism) and can have a profound influence on the human energy field. The very fact that Hematite is magnetic among the huge variety of metaphysical stones that are non-magnetic, indicates that we have a mineral with some pretty amazing properties. Another important feature that cannot be neglected is that Hematite is an iron based stone. Surely, a huge number of crystals and stones have some iron in their structure, but in Hematite, iron is the dominant constituent. Hematite aids your meditation by creating a reflective shield around you, casting back any negative vibration directed at you to its source. Be careful, however, as your own negative thoughts may be reflected back to you as well. In meditation, we often use it together with Rock crystal or Herkimer diamond, which are usually positioned on the opposite side of the body. Hematite grounds the information coming from the seventh, crown chakra as well as from the higher spiritual and Divine spheres, and anchors it into the physical reality. Hematite can also serve as a divination tool. To this end, light up a red candle in a dark room. Put your chosen tumbled Hematite stone in front of the candle, so that the flame is reflected upon its surface. Gaze with persistence into the reflection and think about the question you would like to answer. Be open and anticipate the answer. The composition of Hematite is iron oxide. Iron is a typical “male” element, which makes Hematite a stone of masculinity. It promotes and creates a relationship of love, harmony, and peace. It also balances the meridians, brings mental clarity, promotes photographic memory, and calms the reasoning. Hematite helps increase your focus and concentration. It improves your willpower and eliminates the self-imposed limitations. It can be used for treating addictions and exaggerations of any kind. Hematite helps in the process of recovering and physical recuperation after childbirth, invasive tests, anesthesia, stress, or emotionally devastating situations. It helps regenerate the tissue by absorbing the unhealthy vibrations out of the body. One of the methods of using Hematite is (i) visualization of the healing process while holding this stone in your hands, and (ii) holding the stone over the skin, immediately above the affected organ or tissue. There is no stone quite like Hematite when it comes to effecting the blood. Hematite protects the blood circulation, and heals the red blood cells’ deficiency. 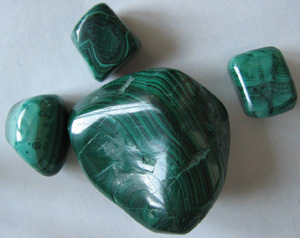 It is also a great stone for treating and healing wounds and cuts. When working with Hematite, one should avoid contact with water. Hematite can be charged and cleansed at the same time if put on top of a pile of Rock crystals. Hematite itself is capable of cleansing a number of other crystals and stones. Preparing Hematite elixir is not recommended. It is better to put several Hematite stones in direct contact with the skin. Being a stone of such a potent and raw power, it is recommended to combine it with some other crystals, like Rose Quartz, Herkimer Diamond, or Rock Crystal. Hematite jewelry is relatively inexpensive, so it won’t be a problem to purchase your ideal hematite birthstone jewelry. There’s one thing you should pay attention to. 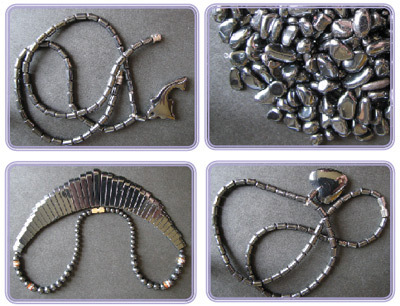 Avoid synthetic or artificial hematite. 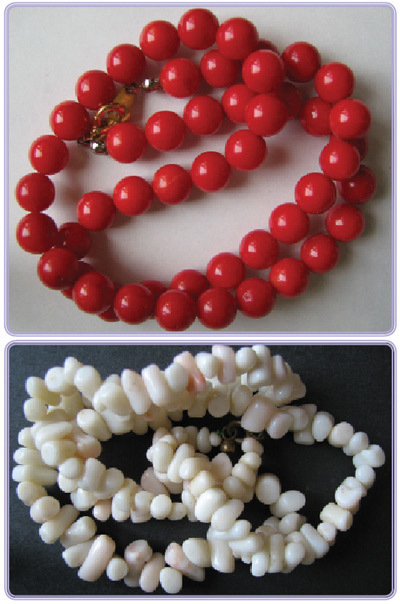 It looks virtually the same, but the process of production is totally different and the material is not the same. So opt for real natural hematite from reputable sources.